There seems to me, to be a lot of misunderstanding on Italy's dear Befana. 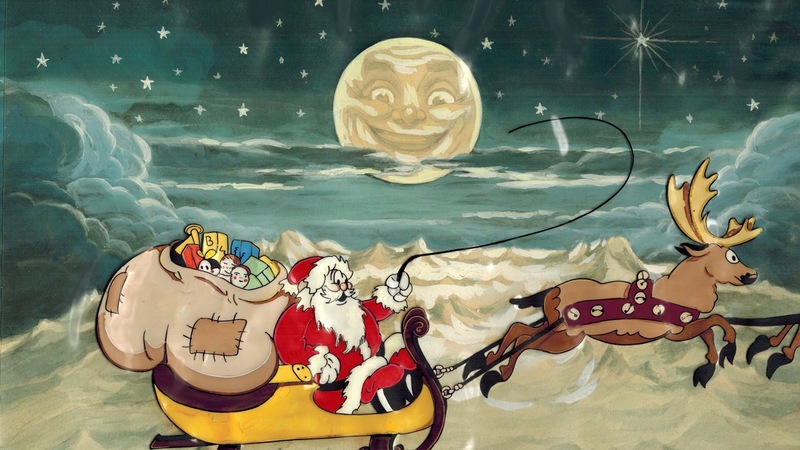 After watching the 1994 "Miracle on 34th Street" last night, and seeing Santa (Richard Attenborough) list off all of the names he is known by, including "La Befana," I thought I'd write a little bit about the Italian "gift giver." First off, Santa and Befana are certainly NOT the same person. Santa, known as Babbo Natale in Italian, translates to Father Christmas. The word "babbo" is actually more a familiar and loving word for father, similar to Daddy or Dad in English. La Befana is the traditional "gift giver" of Italy and is often called the "gift giver" more than "La Befana." This Italian character is certainly celebrated as Santa is here in the US, and children flock to her when she is portrayed by an individual throughout the country. Described as an old woman, she has become very much, a magical witch-like character. Traveling the country on her broom, delivery toys to the children. She is old and ugly, with rags for clothes, but she IS kind and loving. From my experience an an American living in Italy, it felt like they were getting ready for Halloween, which they do not celebrate, as the streets are decorated with witches on brooms. It also amazed me, while my childhood taught me to fear the image of the witch, children would flock to the ugly old woman when she would show up in the form of an individual portraying her. Italy's tradition and history of La Befana is very much a religious story. The story goes that the wise men were journeying afar to find the baby Christ child. They came upon an old women and asked her for directions. After the directions were given, the kings invited her to join them and celebrate the birth of Jesus, but she declined as she said, she was just too busy. Shortly thereafter, a shepherd came with the same inquiry, but again, the old woman said she was just too busy to go. Later, as she gazed up at the North star, she realized she had made a grave mistake. She wanted to be there, and celebrate this special baby. She grabbed what she had to give as gifts to try and catch up to the kings and shepherd. To this day, she has vowed to honor the baby Jesus that she never found, by honoring all good boys and girls gifts, and charcoal for those children who do not listen, like the day she did not listen to her heart and follow with the Kings and Shepherd. The Befana brings many gifts, filling stockings and also bringing wrapped gifts too. While there are many similarities between Santa and the Befana...they are very much two separate individuals. While tradition has been that the Befana is quite old and ugly, she has in recent years began to be more and more beautiful. In Italian television it is not uncommon now for La Befana to be portrayed by a beautiful young actress with a grey wig and a patchwork of clothes. Santa continues to show up Christmas Eve, while the Befana's day of celebration is the night before January 6th, known as the Epiphany...and for much of Italy, is an even bigger celebration. As time goes by, outside cultures are bringing more Santa in a big way but the Italians are holding on to their traditions and La Befana is alive and well within their hearts. Previous entry The Time Has Come! Next entry A Failed Season...Full of Success. Sometimes I have mentioned the tradition of La Bafana to persons of Italian heritage or ancestry, some of which were unaware of the tradition. Regarding this, it would be really nice if more of us would extend our Holiday season celebrations until Epiphany. The important thing to remember is that Christmas Eve and Day are really the beginning of the Christmas season and not the end of it. The time leading up to these days is really a time of preparation, Santa notwithstanding. Thanks, Johnathan!!! You are, indeed, a veritable vault of useful information!! !